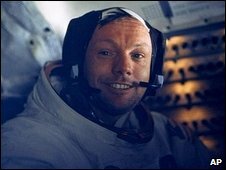 BBC NEWS | UK | Magazine | Who is Neil Armstrong? In his quest to uncover the man behind the spacesuit, Andrew Smith, author of Moondust: In Search of the Men Who Fell to Earth, decided to travel across America to meet people who have had an impact on Armstrong's life. "And he didn't want to profit from it financially - even though a lot of the other Moon walkers have done - and amazingly he's stood by that. An auction house told me that if Armstrong spent just one afternoon signing autographs he could make a million dollars, but he's always refused." Two years after his historic journey, in August 1971, Armstrong left Nasa and decided to become a teacher. "Ostensibly, it was a very strange decision. He could have done anything," says Smith. But if Armstrong thought a small aerospace engineering department at the University of Cincinnati would provide a refuge, he was to be disappointed. "His old boss told me when he first arrived, he spent two hours every single day signing autographs for members of staff and students. Apparently there was a window right at the top of the wall and people used to go and make human pyramids just to look into his office. "He dealt with it but he didn't like it, he couldn't walk across the campus without being constantly approached. He ended up going and spending a lot of his time flying, on his own, to get away from it." Neil Armstrong's decision to keep a low profile contrasts with the man he shared the limelight with on that historic lunar landing. Buzz Aldrin has become the face of space, courting media attention with a series of high-publicity manoeuvres including a Buzz Aldrin's Race into Space computer game and making a guest appearance in The Simpsons. 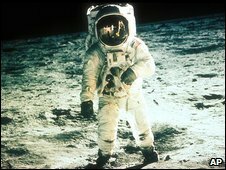 For the 40th anniversary of the Moon landing, Aldrin has teamed up with hip-hop artist Snoop Dogg and producer Quincy Jones to create a rap single and video, Rocket Experience. It's the kind of stunt that might send a shiver down Armstrong's spine. But in an age of mass celebrity culture, how has Armstrong managed to remain so enigmatic? 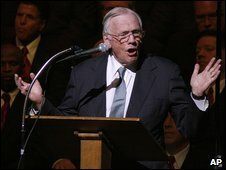 "Everyone I met described Armstrong as a reserved and quiet man. I started to wonder whether they were protecting him, or maybe, in some ways at least, he was just a rather ordinary, nice man," says Smith. And yet he concedes in many ways Armstrong is far from ordinary. "He was an extraordinary pilot. He's flown the X-15, the fastest plane in the world, at 4,000mph (6,440km/h). He can fly anything; he is possibly the most distinguished pilot that has ever lived," says Smith. "His generation were enchanted by flying, they were aviation pioneers. The Second World War pilots were their heroes. Armstrong never wanted to be a celebrity, he wanted to push the boundaries of flight." That an ordinary small town boy from Ohio might struggle with becoming one of the most famous men on the planet is hardly surprising. But Smith thinks his steely, disciplined determination to shy away from the public eye is another of Armstrong's strengths. He says it helped him cheat death three times before he even got to the Moon. "He always kept his cool. At one point on a flight he was just a fingernail away from not making it. Afterwards, fellow Nasa astronaut Alan Bean told me he saw Armstrong filling out an incident report but recalled him saying he'd just had a 'little difficulty'. "He thought Armstrong had stubbed his toe or something, but actually he'd been two-fifths of a second away from death. He couldn't believe he was just calmly filling in forms as if nothing had happened - but that was the kind of man he was." And then there is Armstrong's apparent eccentricity. "The music he took on the mission to the Moon was deeply eccentric," says Smith. "Most astronauts took one classical piece, and one country and western. "Armstrong took Dvorak's New World Symphony. But the other was theremin music - that eerie, wavy sound associated with sci-fi movies that goes 'woo woo'. On one hand it was the most perfect thing he could take, on the other it is massively eccentric - and that's kind of him." Ordinary man or gentlemanly genius, maybe Armstrong's most celebrated act has been to remain - certainly in many ways - a man of sizeable mystery. Armstrong is the ultimate professional. He was hired to do a job and he did it. Then he went home. While I can respect Armstrong's humbleness, a part of history will be lost if he never talks about his personal experiences. 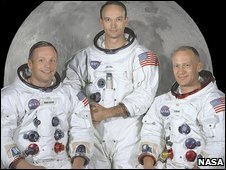 I recall reading at the time that Armstrong was chosen to be first on the moon as unlike all the other Apollo astronauts he was not a serving officer in the U.S. military. As a test pilot employed by the Locheed Aircraft Corporation he was technically a civilian. 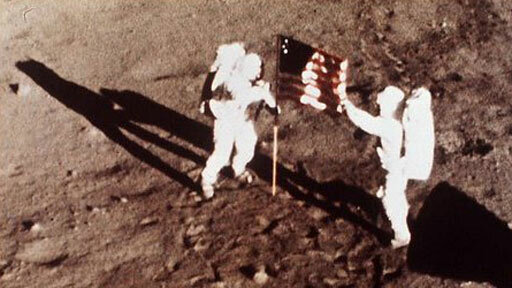 At the time it was important to be able to say the first man on the Moon was civilian and not military. I would love to meet and talk with Neil Armstrong, however i hope that all will let him be as that is certainly his desire, he has earned it! He not only redefined the frontiers of space expeditions but buried the crazy culture of celebrity. He indeed deserves our standing ovations. Besides he is not a funky footballer who is simply en cashing his few lucky kicks. He is an astronaut. Welcome to planet earth. Admirable not to let it go to his head but he could have used his celebrity to start humanitarian organizations. Fame doesn't have to be all bad. Too bad he didn't have the foresight to use his fame for the good of mankind in a bigger way than the moon landing hero. Reserved or not, Neil Armstrong we are all proud of you. I've met him. He knows he's just a man and that's what I love about him. Neil will always be a hero to many. But I agree with him the entire team of the Apollo mission achieved something amazing, a true landmark in history. Like the writing of the bible or Koran it has influenced many. I believe that as a planet we should reach out and take historical steps, starting with reversing global warning. Good for Neil. He has guarded the legacy of Apollo and the memory of colleagues who died, with integrity and humility.Why should he be expected to dismantle all of that now? Mr. Armstrong has made a difference to the world and to all of us. His famous words are being cited regularly in our household too. But we can only respect and admire him for his choice to remain his own man. Humility as always displayed by Mr Armstrong during his career showed his greatness as a scientist. He is my man of the century!